Our most divine Tiny Ones are without a doubt our most popular product. The gold string makes it the perfect accent to a Christmas tree. Simply remove the string if you want to display your beloved pet on a shelf or mantle. 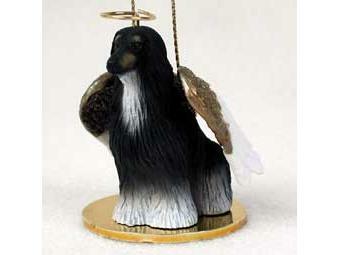 Whether your pet is angelic in every way, or memories of a lost pet tug at your heart strings, these are the perfect gift for any dog lover!